Research in hair transplantation has resulted in considerable progress; today, hair transplant techniques provide natural, aesthetic, and lasting results. Generally, men lose their hair along the front just above the forehead and on top of their head – two areas where hair grafts can be placed. Grafts are taken from the back of the head, an area hardly ever affected by hair loss, and are transplanted to restore the appearance of fullness. 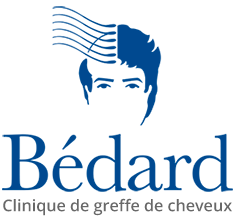 To find out how more about your hair loss and what your options are in terms of hair transplantation and hair restoration, please visit the Bédard Clinic’s online consultation page.